Travelers can diversify their rest by visiting wonderful entertainment venues, nightclubs, numerous markets and shopping centers. It is worth noting that in addition to nightclubs various local bars serve their clients until late at night. Barasti is widely known as one of the best among them. It is located just a few steps from a beach. Guests of the bar are welcome to stay in one of cozy terraces and enjoy their favorite music and delicious food. Yarba bar is an interesting institution. It is decorated in Indian style and invites guests to participate in incendiary eastern parties. The "Garage" remains one of the most popular nightclubs in Dubai. It attracts visitors not only by interesting entertainment, but also by original decoration of the main hall. There are several buses and cars inside the club and guests of the club are welcome to rest in them. Visitors of the city have access to all possible types of water entertainment, from traditional romantic cruises and diving to nighttime fishing and other more exotic activities. Dubai is home to a large number of different sports clubs and diving centers, and everyone is welcome to sign up to them. Fans of shopping will surely appreciate a huge selection of shopping malls and open-air markets that can be found virtually in every area of the city. Travellers should not forget to visit Deira City Centre Mall. This shopping center is the largest one in the Middle East. In addition to a huge choice of shops the mall has a large leisure center, a cinema and several attractive restaurants. Gold Souk remains the most popular market among travelers. This is the place where visitors can easily buy the most incredible jewelry. Deira Old Souk Market is the best place to shop for spices and memorable souvenirs. Finally, the richest choice of seafood market is offered to visitors in Fish Market. Dubai is a futuristic looking city, and that is the reason for its informal name – the City of the Future. No wonder why many science fiction and action films are shot there. 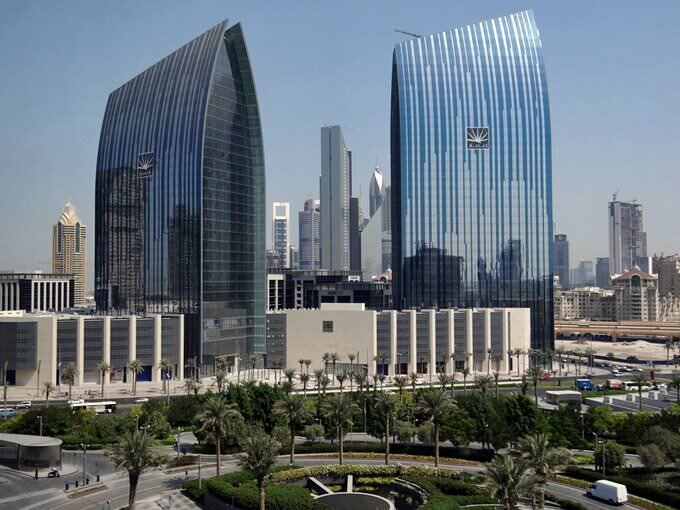 For example, film fans may be interested to know that one scene of Mission Impossible: Ghost Protocol was filmed in Dubai, on the Burj Khalifa skyscraper. This is one of the most thrilling moments in the movie, so it is not hard to recall it in the memory and recognize the internationally famous building. Fans of another famous series, Star Wars, will be pleased to find out that Star Wars: The Force Awakens was shot in the Abu Dhabi desert that is located not far from the phenomenal city. Consider making an SUV ride to the desert to see the area where the spaceship and tower were built. OceanAir Travels and Platinum Heritage offer this opportunity. There are many other active pastimes available to guests of the city. For example, they can try different water-based entertainments, such as all kinds of surfing including SUPboarding (Kitesurfing Lessons, SeaYou), catamaran and speedboat riding (The Yellow BoatsSplash Tours, Watersports by First Yacht), flyboarding (Nemo WaterSports), wave runner rides (SeaRide Dubai), kayaking (SeaYou), and cruises to the most picturesque areas of the region (Xclusive Yachts, JA Bateaux Dubai). Many travelers who wish to raise their adrenaline to the highest level prefer tours by Atlantis Dive Centre, during which they can dive and see some of the scariest inhabitants of the deep sea, namely, sharks. Despite the fact that this sounds quite scary, the dive is absolutely safe and travelers do not need to worry. They will undergo a special training first and then will dive together with an instructor. Those who want to try a full tour with camping will find exactly what they need at Adventurati Outdoors. If sky has always been luring you, the services offered by SkyHub Paramotors will be more than welcome. This company offers parachuting and hang-gliding above the city while being tied to a plane. Does an idea of making an air-balloon ride sound appealing? No problem! Sindbad Gulf Balloons and Balloon Adventures Emirates offer this service in Dubai. Such activities burst the adrenaline level and allow admiring the fabulous beauty of the city from a bird’s eye view. In order to try parachute jumping, simply contact the best local company in that area, namely, Skydive Dubai. 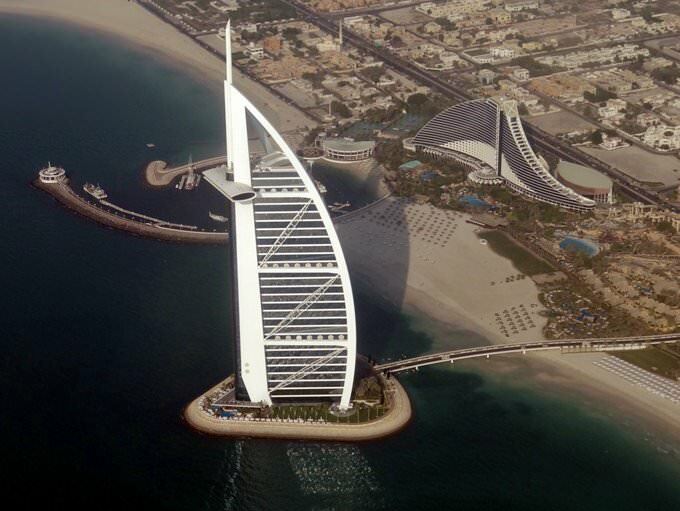 To make any vacation even more diversified, consider making a helicopter ride above Dubai. Seawings Dubai and Seawings Lifestyle offer this unforgettable experience to all residents and guests of the city. Fans of rock climbing will also not feel bored in Dubai. They are welcome to enjoy their favorite activity in Sky Trail and Climbing Wall. Vacationers wishing to try zip line should visit XLine and enjoy unforgettable memories. Does an idea of riding a gracious horse sound attractive? Dubai Desert Horse Ride Experience offers this unforgettable experience. It is also possible to learn how to ride a horse and then make a pleasant ride on a sandy beach. Such romantic pastime will stay in the memory for many years. A visit to The Green Planet Zoo will also bring many exciting moments. Families with children will be particularly fond of this place. For kids, not many places can conquer with a visit to a wonderful zoo. The Green Planet is something like an oasis in the middle of the desert that has become home to many exotic animals. Dubai is a great choice for vacationers with kids. There are many family-friendly venues, for example, Aquaventure Aqua Park with its numerous slides or Dubai Parks and Resorts famous for gorgeous landscape. That is also a place for many characters from popular children books. LEGO fans will find it exciting to attend LEGOLAND Water Park. It is important to mention that there are many entertainment centers in the city that fit the needs of different categories of visitors, starting from bowling fans and to fans of laser tag. The phenomenon city has a place that superstitious people try to avoid. Adventure seekers, in their turn, simply cannot fail to visit it. This is the Al Qasimi Palace that is located in the neighbor emirate of Ras Al Khaimah. It takes some time to reach it, but the abandoned palace is worth the effort. People say that it is possible to see ghosts in the palace. It is believed that genies appeared there to torture members of the royal family. The forgotten palace is surrounded by a tall fence in order not to let genies enter the world of the living. The mansion itself looks like an ordinary old building, and it feels like it doesn’t have any mystical aura. There is one more unusual place in this emirate - Al Jazirah Al Hamra town that is widely recognized as the most famous ghost town in the emirates. That is a truly must-visit place for all adventure seekers and everyone who likes exploring abandoned places. This guide on active recreation and leisure in Dubai is protected by the copyright law. You can re-publish this content with mandatory attribution: direct and active hyperlink to www.orangesmile.com. 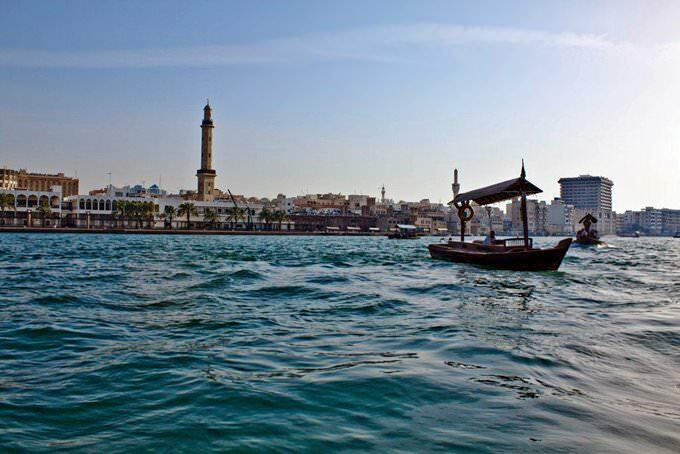 Guide to your best city break in Dubai - popular places for recreation and leisure. 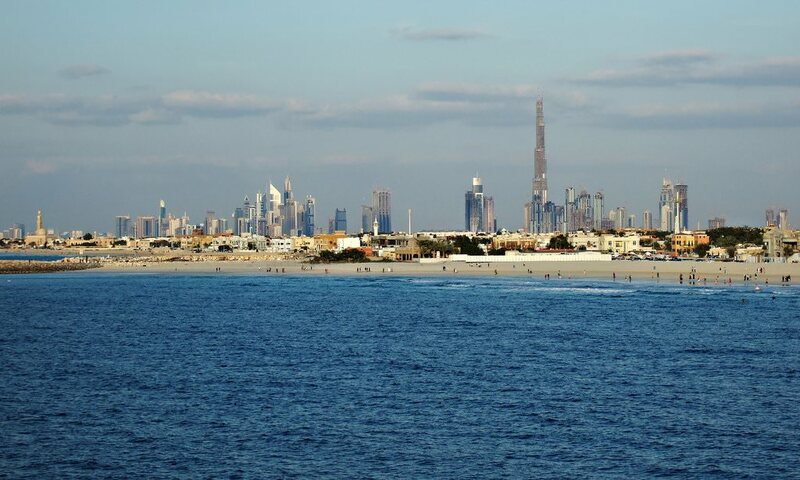 Things to do during the day in Dubai - attractions, parks, beaches, aquaparks, racing tracks, biking trails or waterski. Recommendations (with addresses, phone numbers and links) where to spend your time in the evening (bars, discos, clubs, etc.). We share some good ideas and the question 'What to do in Dubai?' disappears immediately.